Deep pink. Cerise-pink. Moderate fragrance. 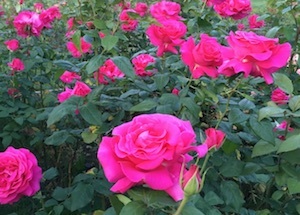 Medium to large, double (17-25 petals), high-centered bloom form. Blooms in flushes throughout the season. Height of up to 33″ (up to 85 cm).